Tag Archives for " Shahzad Saeed "
Back in the day, people used to sign up for an email list for anything. Just offer an eBook and you could see your sign up rate growing rapidly. This strategy will still work; however, it is not as effective as it used to be. Since more and more publishers are offering generic opt-in bribes such as eBooks, it’s hard to differentiate yours from the rest. And unless you offer something that stands out, chances are people will automatically ignore them. In this post, I’ll explain two effective strategies to skyrocket your email list. Many marketers focus solely on growing their email list and undervalue the importance of building a relationship with their leads. In fact, did you know that an average email subscriber gets 416 commercial emails per month? That means every day, 13+ commercial emails are competing with each other to get noticed by your subscriber. As an email marketer, if you didn’t create a strongly bonded relationship with your subscribers, it is highly likely that your subscribers tend to ignore your emails, which in turn makes your list less effective when it comes to converting your leads to customers. How do you grow your email list and build a strongly bonded relationship simultaneously? Content gating is one such innovative approach. 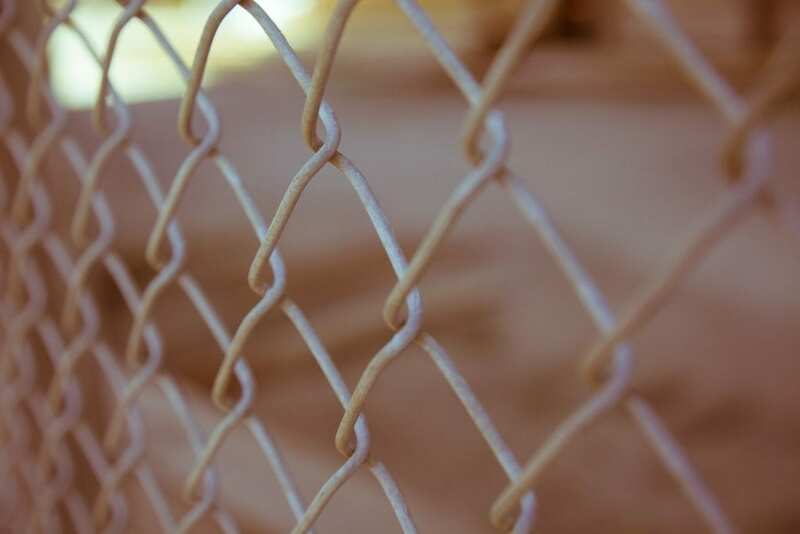 With content gating, you can provide high-value content on your website behind an opt-in form, so your readers are forced to register on your website by submitting their email address in order to access the content. As there is more unique content behind the gate, your leads often return to your website in order to access it. When it comes to growing an email list, the team at Copyblogger didn’t trust the traditional way of offering an eBook or a newsletter as an opt-in bribe. They wanted to offer something more unique that would not only help to increase the perceived and actual value of their offer, but would also help them build a long lasting relationship with the Copyblogger brand. So they decided to offer premium content called “MyCopyblogger” behind an opt-in form as gated content. MyCopyblogger consists of15 eBooks and a 20-part internet marketing course, so each time when subscribers access the content on their website, they’ll have to log into it. And the result was pretty astonishing. This strategy of offering gated content not only helped them to grow their email list by 400%, but also made $300,000 in ‘Authority’ sales in their first month because it was connected to their paywall. The main benefit of creating a premium content library is that, unlike offering a free eBook in return for an email address, it ensures that the quality of the leads remains high. In the case of Copyblogger, they found that aside from the landing page, their most viewed page lies behind the paywall. That means on a regular basis, leads are returning to their website to access the content. It depends on your content strategy. If your strategy is to drive more traffic and build backlinks to your website, content gating may not be a great idea for you. On the contrary, if you’re looking to grow and nurture your email list, gated content could the right choice. In fact, websites like Unbounce uses a combination of both free and gated content. You can freely access their Landing Page Optimization course whereas some of their more advanced content is gated like webinars and eBooks. One of the easiest ways to create a premium content library is by repurposing your existing content. All you need to do is to repurpose your killer blog posts to create premium content that lies behind the paywall. Create a membership site: If you’re on WordPress, install the Membership 2 plugin on your website. This will ensure that only your subscribers will have access to your content library. Create a landing page: Create an awesome landing page to grow your list. If you’re not a good landing page designer, either hire an expert to create it or install any landing page plugins on your site. In your landing page, make sure to create beautiful opt-in forms, so it encourages more sign ups. If you’re looking for a free plugin, Optin forms could be the right choice. Track the on-site behavior: As your leads will be returning to your website often, one of the main benefits of creating a gated content library is that the lifetime value of your leads will be high. So make sure you install the free Leadin plugin to better understand the on-site behavior of your leads, which can be helpful for your business in the long run. Send personalized emails: Learning the on-site behavior of your leads helps you send personalized emails to your customers, which are more likely to convert a prospect into a customer. Content upgrades are lead magnets you offer within your article to encourage visitors to subscribe to your list. Unlike the usual opt-in offers, which giveaway generic resources such as eBooks, content upgrades are created specifically for specific pages to offer exactly what visitors want at the moment. For example, if your blog post talks about weight loss, you can offer an eBook that is closely related to weight loss from that post in return to their email address. That means content upgrades are laser targeted resources, crafted specifically to meet the needs of your visitors at a particular time, and are not a generic opt-in bribe like what you would usually offer from the sidebar of your blog. It is usually placed inside the content area of your posts or the pages, so it easily grabs the attention of your visitors and encourages more visitors to subscribe to the list. Brian Dean from Backlinko decided to see if giving away a post-specific resource as content upgrade would increase conversion on his one of the most visited blog posts. Before the test, the page was converting at 0.54%. When he started using content upgrade on his blog post, he found a 785% increase in conversion rate in just a single day, and he gained this result without conducting any A/B testing. Needless to say, that’s a massive increase. How to create a content upgrade? Step 1: Create a resource like an eBook specifically for your blog post and offer it for free when they subscribe to your list. Step 2: Install any content upgrade plugin on your website. This will help you create content-specific bonuses that your visitors have to opt in for. When visitors click a link on your blog post, a pop up will appear asking them to submit their email address in order to access the resource you created in step one. Once the email address is submitted, the user can access the content. Step 3: Create a Google Analytics goal and analyze if this strategy is actually bringing in more sign ups. Many email marketers are offering free ebooks and newsletters as an opt-in bribe in return to email addresses. Though there is nothing wrong with offering such bribes, there are many other ways to grow your list massively. Content library: For creating a premium content library, you don’t need to create the content from scratch. If you’ve already written and published epic blog posts, all you need to do is to repurpose them to a premium content library and encourage sign ups in order to access it. Content upgrade: Unlike the usual opt-in giveaways, content upgrade provides exactly what a user need at the moment, because they are created specifically for each blog post. As the resource you offer is highly-targeted, it skyrockets the sign up rate. Which one is your favorite opt-in bribe? Share your thoughts with us by dropping a line below. Shahzad Saeed is specialized in content marketing for small businesses. He offers blogging, guest blogging and ghostwriting services. You can hire him for your freelance writing project.